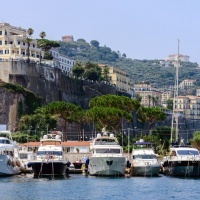 Enjoy this terrific shore excursion from Amalfi's port, a Mercedes Benz vehicle with an english speaking driver will wait for you at Amalfi Port when you leave your ship. 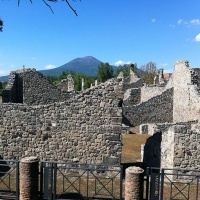 Starting from Pompeii you will take a step back in time when visiting the ancient ruins of Pompeii the City which was destroyed by the devastating eruption of the volcano Vesuvius in 79 A.D. Imagine what life must have been like in this ancient city with statues of people as they were found after the eruption, preserved for all time in the lava. 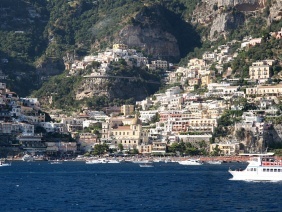 From Pompei our visit takes us along the beautiful coastal road of Amalfi for our visit to Positano . 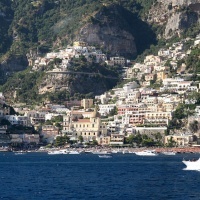 Positano is the best place from which to take some commemorative photographs with splendid scenery that has rocky backdrops to them. This hilly town is also known for its particular fashions and you will find lots of shops to choose from amongst the warren of its streets. 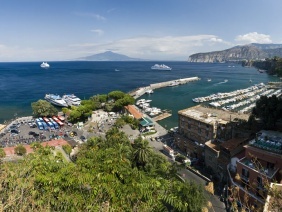 Finally, arrive in Sorrento also, known as land of the mermaids. 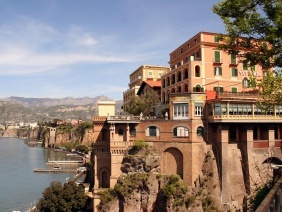 Visit the historical centre, the cathedral and the Church of Saint Antonino, the Patron Saint and Protector of the town. 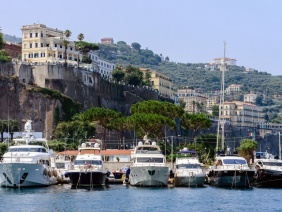 There are lots of souvenirs to be purchased here from the very famous lemon liquor (Limoncello) to the artistic objects made from the masters of inlaid woodwork art. 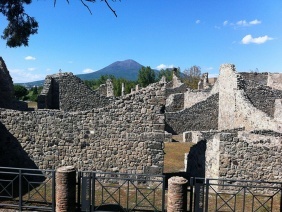 At Pompei a local guide can be hired for Euro 110.00 and why not take time out during the day for lunch or a nice relaxing drink in one of the many bars and restaurants. How to Book Now this activity? It's extremely easy, you can book directly in just 2 clicks selecting the number of people and the date when you want to reserve the activity and clicking on Book Now! button. You will be redirected to a booking form where you can input the missing details to complete the reservation. Once booked you will receive a confirmation email that includes the local activity operator's contact details and local telephone numbers at the destination. They will happily answer any logistical questions you may have. You can also contact your local supplier anytime using Etindo Message System. How to Get an Offer for this activity? You can try to get a disconut for this activity by selecting the number of people and the date when you would like to reserve and clicking on Get an offer! button. You will be redirected to our message system where it's possible to bargain directly with the local supplier. No charge on your credit card will be charged . The credit card is provided only to guarantee the reservation. The credit card details are not held by Etindo. Payment will be made at the end of your activity directly to your local operator. Cancellation is free 7 days prior the service, after this terms the full amount (based on your booking) will be charged on your credit card in case you miss your booked activity.